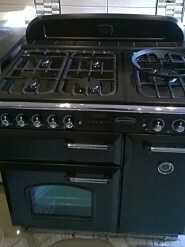 Ovens – Cookers – Hobs – Extractors – Grills – Ranges – Microwaves – Washing Machines – Dishwashers-Fridges- Freezers. Oven Ace Nw are one of the longest established Independent companies that provide domestic oven cleaning services in the Wirral. 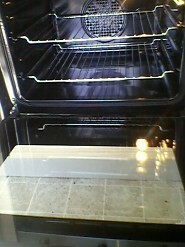 We also provide oven cleaning services in Liverpool and the surrounding areas. Now (genuinely) in our 10th year the company was started by an ex RAF aircraft technician whose high military standards both in quality of work and cleanliness were imposed on the company ethos to make it the best oven cleaning company in Wirral and Merseyside. YOU WILL NOT BE SUBSIDISING ANY FRANCHISE FEES ! Therefore we can pass that saving directly onto you! Not only that but as we are not rushing from one job to another to pay those franchise fees and other expenses we can subsequently devote more time to cleaning your appliance properly ! 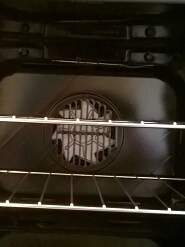 It would be an exaggeration to say oven cleaning is dangerous but it does however have its dangers and problems. (Such as the dismantling, reassembling and handling of glass doors and brittle items. Not forgetting a multitude of sharp items waiting to cause a nasty cut). So that’s another reason we wont rush but we also wont be lackadaisical either. We strive to work in a timely and efficient manner to protect both us and your appliance. And for a thorough clean we ensure the ovens get an absolute minimum of two applications of our special oven cleaning paste. 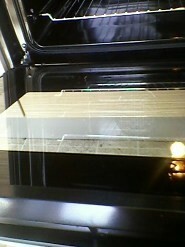 Oven Ace Nw clean those parts of your ovens that other Companies prefer to skip out to save time . For example we DO clean the oven roofs AND behind the oven fan cover (if accessible) as well as behind other internal panels. Oven Ace NW are therefore proud to say that this oven cleaning company for one certainly has no “Scrape , Scrub and Scarper Policy”!  After much research we can confidently state that our unique oven cleaning system and that of The Association of Approved Oven Cleaners as a whole is perhaps the safest and most effective in the UK. We do not require power at your home nor do we carry gas bottles or the like in our vans. Consequently, unlike many of our competitors, there is no danger of an Oven Ace van exploding outside your home !